Check out Tobi's Ashlynn Ribbed Dress Show it off in the Ashlynn Ribbed Dress. This rib-knit bodycon dress features a functional zipper closure, turtleneck and racerback cut. We love it with combat boots or peep toe mules. Show it off in the Ashlynn Ribbed Dress. 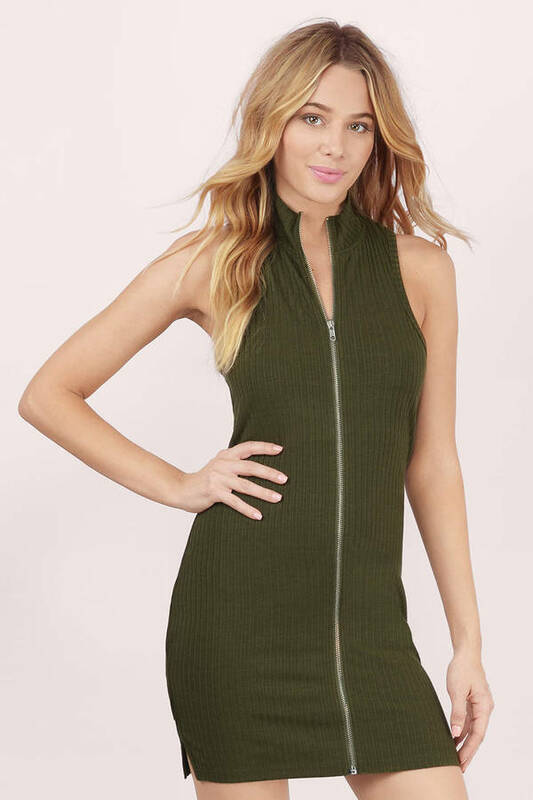 This rib-knit bodycon dress features a functional zipper closure, turtleneck and racerback cut. We love it with combat boots or peep toe mules.